There's nothing I enjoy more than adding new books to my ever-growing collection; especially when they're about topics I wholeheartedly love. While perusing a local book store, I stumbled across a small shelf all about New England. From guides to historic accounts, to ones specific to a location or about a particular trade, there were plenty to peak any New England lover's interest. This got me wondering what other books exist beyond this shelf, so after flipping through a bunch and purchasing the one pictured, I turned to the internet to share them with you! If you have similar interests to myself, like adventuring, cooking, and architecture- get a load of these books! Already I am enjoying this book so much! It is broken down by each state, making it very easy to cater to any adventure plans. 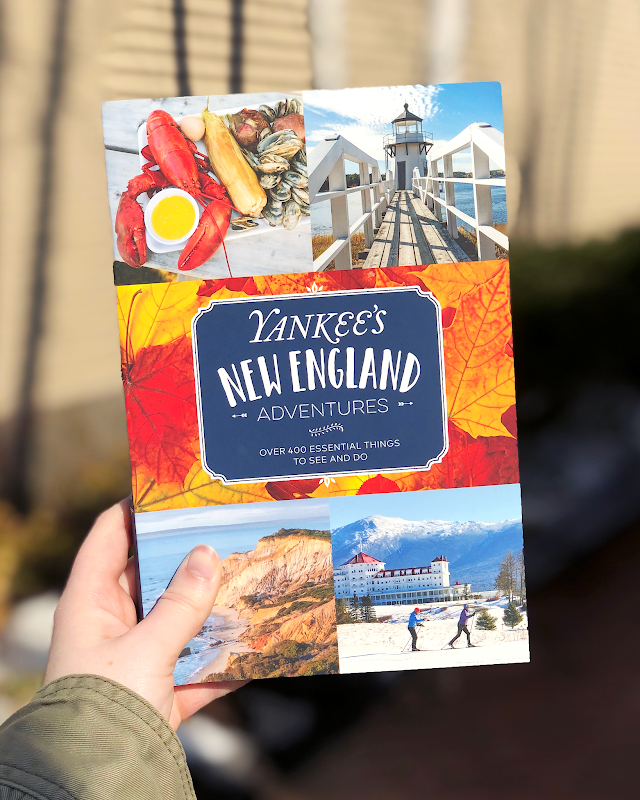 It is an in-depth travel guide highlighting the village life, as well as city life of New England. Even though I'm a New England native, I've learned so many new things from this book, like the fact there's a chowder festival in New Hampshire. You can bet I'll be there this June! If you follow my Instagram then you know one of my favorite things to highlight is the architecture of New England. It is stunning and so telling of the history. This book is also broken down by each state and highlights some of the most historic homes, like the Newport Mansions and colonials of Portsmouth. May have to turn this book into my next itinerary! Nothing like some New England cooking to make you feel cozy and at home. This cookbook goes through each meal portion and adds that New England flare. Of course there are classics in this one, like the lobster roll. Makes me hungry just thinking about it! What are you currently reading? Would you pickup any of these?